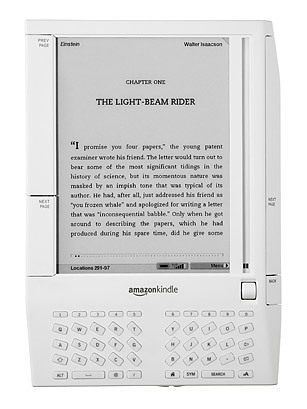 Two models and three generations later, Amazon's Kindle still holds court over the e-book-reader kingdom. It wasn't the first e-book reader, but Amazon made the reading experience seamless and easy. Books are downloaded within seconds, and newspaper subscriptions are updated automatically overnight. And it certainly doesn't hurt that you can sync and download books across multiple devices.